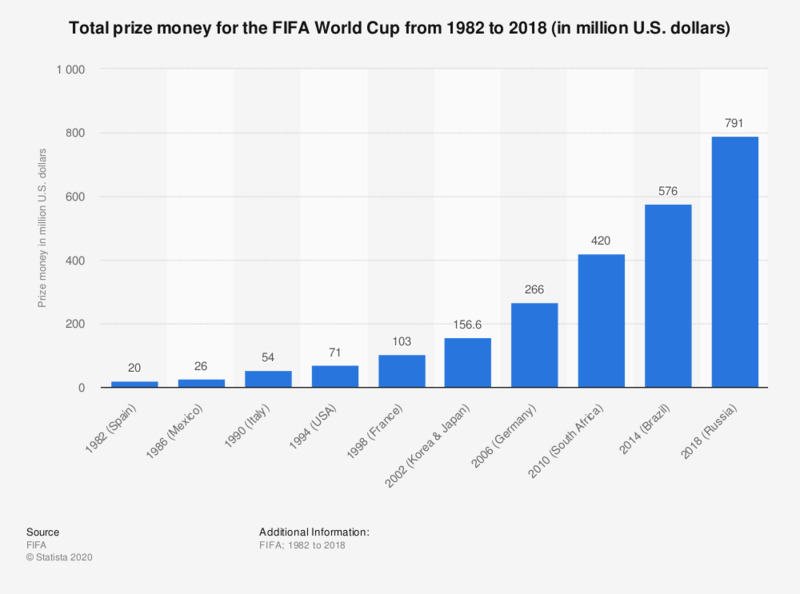 This statistic shows the total prize money at the FIFA World Cup finals between 1982 and 2018. In the latest World Cup held in Russia in 2018, the total prize pot stood at 791 million U.S. dollars. The winner of the tournament earned 38 million dollars and the runner-up earned 28 million U.S. dollars.